Most parents know they shouldn’t send their kids to school with sugary, acidic sodas, but there are secret sugars hiding in some of the drinks parents consider good for kids. Sodas are highly acidic and contain large amounts of natural and processed sugars. This one two punch can increase risk of decay for kids. Reducing soda intake or removing it completely from your child’s diet is a great first step, but there are actually other drinks that can negatively impact your child’s oral health. 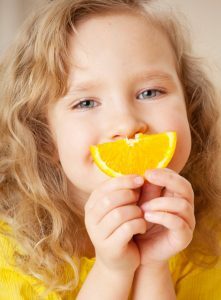 There are three keys to keeping your child’s smile healthy. Drink sugary and acidic beverages in moderation, keep teeth healthy with great at home care, and visit a trusted Boiling Springs dentist for biannual dental checkups and professional teeth cleanings. What Toothbrush Should I Be Using? Tooth brushing is one of the most important ways patients prevent unnecessary decay or damage. Brushing technique has a huge impact on the effectiveness of daily oral hygiene, and our dentist and hygiene team will be happy to demonstrate proper brushing techniques during any dental checkup, but one of the questions we hear most often from patients is, “What type of toothbrush should I be using?” Many times patients want to know whether or not they should invest in a mechanical toothbrush rather than the traditional manual brush. 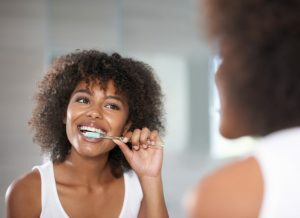 We tell patients that any toothbrush used properly will remove plaque and tartar buildup, but we can make some specific suggestions based on your unique oral health condition. At Carlisle Family & Cosmetic Dentistry, our team is here to help dental patients from Boiling Springs and other surrounding communities make the best oral health and hygiene choices in our office and at home. Contact us to schedule your dental checkup to find out more. Comments Off on What Toothbrush Should I Be Using? While no 2 dental patients are alike, everyone needs a dentist he or she can trust, being confident that the doctor’s education, compassionate attitude and creative skills will lead them toward better oral health and self-confidence. Discover these things with Carlisle, PA dentist, Dr. Thomas Neslund. If you’ve been experiencing severe, constant tooth ache or hot and cold sensitivity, you may need root canal therapy to ease your pain. The caring staff at Carlisle Family and Cosmetic Dentistry are here to help whatever your dental care needs. At our welcoming, comfortable Carlisle, PA office, Dr. Thomas Neslund provides experienced root canal treatment to ease you pain, and restore you smile. If you think you may need a root canal or you’re interested in finding a great dental practice for all of your health care needs, call us to schedule an appointment today. We’re looking forward to hearing from you. Endodontic therapy commonly referred to as root canal therapy is necessary to remove decay and restore damage to your tooth’s roots. Gum infection or severe tooth decay can reach break down the protective enamel layer of your root very quickly. 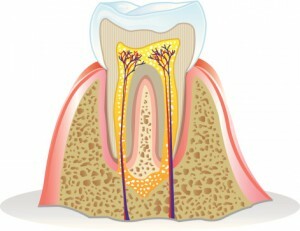 In the center, the canal, there is a soft layer of pulp and sensitive nerves that help relay tooth pain. Many patients don’t know they need root canal therapy until the decay has reached their nerve causing severe pain. Damage to these nerves can actually kill your tooth, so the sooner you receive root canal therapy, the better. The pain commonly associated with root canals is actually caused by damage to the nerve. 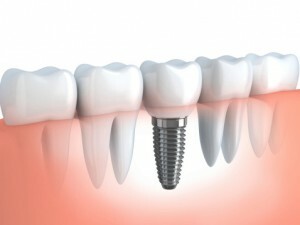 The treatment itself should significantly reduce pain by removing decay and restoring your root. Regular checkups and x-rays can help your dentist discover root canal damage before it becomes painful. If you are experiencing painful or swollen gums, constant or severe tooth ache, or extreme hot and cold sensitivity, you may need a root canal. Visit us as soon as possible, so we can put a smile back on your face. Endodontics is a dental specialty. The word itself is derived from two Latin words: endo – inside and odont – tooth. This specialty focuses on understanding and caring for the inner workings of the tooth including the pulp layer and the root canal. Dr. Neslund has years of training and experience in endodontics, and can provide you with excellent root canal therapy not matter how severe the damage. Our goal at Carlisle Family and Cosmetic Dentistry is to retain and restore your natural teeth, and root canal therapy can be an effective way to avoid tooth extraction if the root is damaged. 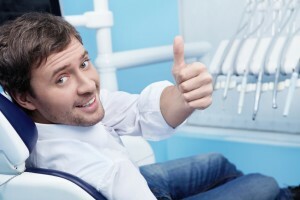 Most patients who need root canal therapy will need to schedule two or more visits. During your first visit, Dr. Neslund will determine the severity of the damage to your root, and work with you to develop a treatment plan. To stop the spread of infection before your root canal therapy can be performed, Dr. Neslund may prescribe antibiotics. A course of antibiotic treatment will also ready your body for the procedure. The day of the treatment, Dr. Neslund will x-ray your tooth and the surrounding jawbone to get the shape and size of the canal, and look for any signs of deterioration to the surrounding teeth or your jawbone. The procedure itself removes bacteria, infection, and affected dental pulp and nerves. If there is a good deal of infection, your doctor may want to treat the infection before restoring the tooth canal. Whenever Dr. Neslund determines your tooth is ready for restoration, he will place gutta-percha, a plastic and rubber compound, inside your tooth to fill the space left by removing pulp and strengthen the tooth. Then, the exterior hole used to access and clean the canal is closed with composite filling. Depending on the extent of the damage, additionally tooth restoration may be necessary to return your tooth to restore your smile. Don’t live with toothache or sensitivity. Root canals may have a bad reputation, but they significantly diminish nerve pain in your root canal and restore your bite health. If you need dental care of any kind, Dr. Neslund and that staff at our Carlisle, PA office are here to help. Call to schedule an appointment or find out more about the outstanding oral health care at Carlisle Family and Cosmetic Dentistry. Our friendly practice welcomes customers from Camp Hill, Mechanicsburg, Boiling Springs, Shippensburg, and the surrounding communities. Is your smile less than you desire because of a number of imperfections? When you see yourself in a photograph, do your eyes focus on the flaws in your smile rather than the happy person behind the smile? Or, even worse, do you tend to smile with your lips closed? If you answered yes to any of these questions, then perhaps you should consider porcelain veneers. With porcelain veneers, Dr. Thomas Neslund at Carlisle Family & Cosmetic Dentistry in Carlisle, PA, can repair your smile, boost your confidence and improve your outlook. Porcelain veneers are micro-thin sheaths of dental porcelain that are adhesively bonded to the facial side of the teeth in your smile zone. As such, they can conceal many smile flaws including chips, cracks and teeth that severely discolored, as well as teeth that are misaligned, misshaped or have gaps in between them. Not only do porcelain veneers serve a cosmetic purpose, but they can also protect damaged teeth from additional harm. When you come to Carlisle Family & Cosmetic Dentistry to discuss porcelain veneers, Dr. Neslund will first want to make sure you have healthy teeth and gums. Also, if you are not satisfied with the color of your teeth, you may want to consider teeth whitening so your natural teeth will match the whiteness of your new veneers. Once you and Dr. Neslund have settled on the size, shape and color of porcelain veneers that will best complement you, then he will prepare your teeth for veneers by removing a minimal amount of enamel. This way, the veneers adhere more securely and they lay flush with your other teeth. We’ll take an impression of your prepared teeth so our dental lab can fabricate veneers that will fit perfectly. While your permanent veneers are made, you’ll wear temporaries. Then, when your custom porcelain veneers are ready, Dr. Neslund will cement them into place and you’ll have a flawless smile to show the world. If you’d like porcelain veneers, schedule an appointment with Dr. Neslund at Carlisle Family & Cosmetic Dentistry in Carlisle, PA. We also serve patients from Boiling Springs, Mechanicsburg, Camp Hill, and surrounding Pennsylvania communities. So while romantics and presidents get one day in February, the entire month is National Children’s Dental Health Month. What better time to make an appointment for your children to see Dr. Thomas Neslund at Carlisle Family & Cosmetic Dentistry in Carlisle, PA? Dr. Neslund and his staff emphasize the importance of children’s dentistry because if children learn early to take care of their teeth and gums, then they will likely enjoy a lifetime of good oral health. While Dr. Neslund recommends that you start bringing your children to see him around when they are three years old, children’s dentistry actually begins before that in your home and with you. After feeding, clean your children’s baby teeth with a soft cloth dampened with warm water. As they grow and more teeth develop, you can gently brush their teeth with a soft toothbrush and just a bit of toothpaste. As with adults, Dr. Neslund recommends twice yearly checkups for children. At these checkups, we’ll clean their teeth and remove any plaque buildup. 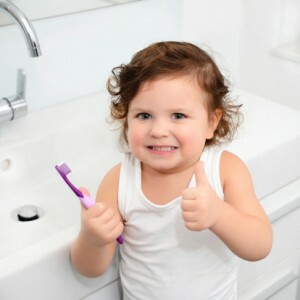 Whether you brush their teeth or they do, removing plaque from little teeth can be challenging, so we do our best to help with that during their checkups. We will also assess the health of their teeth and gums and possibly take x-rays. Depending on what we find during your child’s exam, we might apply a fluoride treatment to strengthen tooth enamel. Once your child’s permanent teeth come in, we can apply dental sealants to your child’s molars. These create a solid barrier against decay-causing bacteria that can hide in deeply grooved teeth. Finally, as your child grows, we’ll also check on the development of his or her bite. If your children need to see the dentist, schedule an appointment with Dr. Neslund at Carlisle Family & Cosmetic Dentistry in Carlisle, PA. We also serve patients from Boiling Springs, Mechanicsburg, Camp Hill, and surrounding Pennsylvania communities. Do you ever think to yourself, “I brush my teeth, I try to remember to floss, nothing hurts, so why do I need to see the dentist?” If you do have that thought, don’t worry—you’re not alone. However, you really should see the dentist. Oral healthcare is not a do-it-yourself activity. With family dentistry at Carlisle Family and Cosmetic Dentistry in Carlisle, PA, you can be certain that you are properly caring for your and your family’s oral health and smiles. As your family dentist, Dr. Thomas Neslund focuses on preventing oral health problems before you even notice any symptoms. That’s why we’d like to see you and your family at least twice a year for dental checkups. With regularly scheduled checkups, we can more easily monitor your oral health and be on the lookout for any changes, even the most subtle of changes. 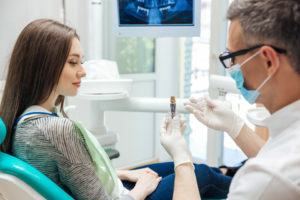 At these checkups, our dental hygienists will clean your teeth, gently remove any visible plaque, examine your gums, and check for tooth decay. Sometimes, dental x-rays may be necessary to pinpoint spots of decay that are invisible to the naked eye. If we do find a cavity, then Dr. Neslund fills it with a tooth-colored composite resin to maintain the natural appearance of your smile. Starting at around three years old, children should start coming to see Dr. Neslund at Carlisle Family and Cosmetic Dentistry. With an early start, your children will become accustomed to regular dental checkups and will be more likely to continue this good habit. While your children still have their baby teeth, we will examine their teeth and gums, gently clean their teeth and possibly take x-rays. And we may apply a fluoride treatment to protect their teeth from cavities. Once their permanent teeth erupt, we’ll apply dental sealants to your children’s deeply grooved molars an added layer of protection against cavities. So, do you need to see the dentist? Then call the office of Carlisle Family and Cosmetic Dentistry in Carlisle, PA. We also serve families from Mechanicsburg, Camp Hill, Boiling Springs, Shippensburg and the surrounding communities.